Our Torah calls it Gan Eden, a pleasure garden. God creates the human being, gives his creation breath, and plants trees of knowledge and life. Seven verses later, in Genesis 2:16, the Lord God commands his creation: Do not eat from the tree of knowledge of good and evil. If you do, you will die. In that moment. The Hebrew is straightforward. Despite centuries of midrashim, the text is not ambiguous. This is not Psalm 90, where a day equals a millennia for God. Nor did our ancient writer know of a “soul” the way we do. It would be mere retrojection on our parts to claim that God intended a “spiritual” rather than physical death. This command, at least, seems straightforward stuff, complete with intensified verbal constructions: Eat, and your life is over. Right then. On that day. Paradise, such as it was, lasts all of ten verses. The idyll was over the moment God issued the threat. In an idyll, a paradise, no one holds your feet to the fire; no one hangs a Damocles sword above your head. The first human must have felt that something was wrong; why would the Lord God plant a tree and then refuse creation its fruit with neither explanation nor justification? God is manipulative? Or perhaps God has trust issues, and tests those Godself would like most to love. The serpent is the only one who tells the truth. God, he explains, is a little anxious about the powers of his own creation. Adam and Eve are supposed to be mere willing workers, tending God’s garden. If they acquire divine-like knowledge, they will encroach on God’s territory. For the other characters in this particular story, truth is at a premium. God appears to fib, Adam is not above foisting the blame on his wife, and Eve joins in on the blame game. God sends humanity into the world with nothing but the skins on their backs, knowledge, and fear. What have they learned in Gan Eden, in the pleasure garden? Eve learns that God will not speak directly with her. Adam learns that he can’t pass the buck. The serpent learns that telling the truth doesn’t win you brownie points. God loses face and the serpent loses his legs. It is heartrending. 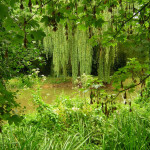 Fear and mistrust are in the garden almost as soon as God creates it. Did it all begin when God planted those two, separate trees? Why did this story win the day when our stories were written down, and, centuries later, made part of our canon? 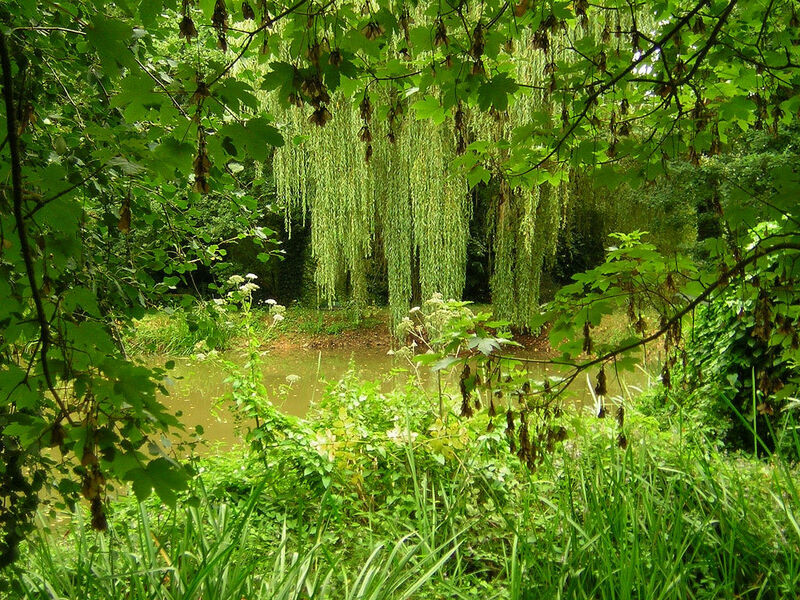 And I came to the Garden of Righteousness, and I saw beyond those trees many large trees growing there, sweet-smelling, large, very beautiful and glorious and the tree of wisdom from which they eat and know great wisdom. And it is like the carob-tree and its fruit is like the bunches of grapes on a vine, very beautiful, and the smell of this tree spreads and penetrates afar. And, I said, ‘This tree is beautiful. How beautiful and pleasing is its appearance! And the holy angel Raphael, who was with me, answered and said to me, “This is the tree of wisdom from which your old father and your aged mother, who were before you, ate and learnt wisdom and their eyes were opened…. This version of the story comes from Book of Enoch. Our earliest versions of this book are as old as our earliest versions of the Book of Genesis – both were found in the Dead Sea Scroll library at Qumran. The Qumran texts were collected during three centuries before the Common Era, but some scholars believe that the Book of Enoch reflects traditions that are as ancient as the oldest we have in Genesis. If so, the stories to be found therein are, just as authentic as any we tell. For all we know, ancient Israelites might have preferred this version of our Genesis story. Or maybe yet a different one that got lost over time, and didn’t make it into the Qumran community library. What do we learn from this version of our story? The setting is different: A Garden of Righteousness, not just pleasure. A place where there are many beautiful trees, but one is especially so: The tree of wisdom. Humanity eats from it and, it appears, learns. Adam and Eve acquired wisdom in the Garden of Righteousness. That would have been an idyll. Then, or now. 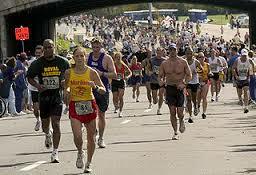 It is challenging — a beautiful, spiritual marathon of sorts. Rosh Chodesh Elul to Simchat Torah — over fifty days of soul traveling punctuated by six major spiritual transitions: Selichot, Rosh Hashanah, Yom Kippur, Sukkot, Shemini Atzeret, and Simchat Torah. We begin in the deepest modes of reflection and we end in an extravagant, no-hold-barred celebration. Most Jews I know pick and choose from among the various chagim of the season. Few make it to each major service of the Days of Awe. The majority in my neck of the woods have never heard of Shemini Atzeret, others, at Sukkot do little more than enjoy the projects their children bring home from Religious School. Is there energy left to dance with the kind of abandon Simchat Torah deserves? Given my own life, spent spinning between congregational obligations and those of the university, the Jewish liturgical year is nothing short of grueling during the fall months. This past year was no different. I sang the last notes and led the last prayers on Yom Kippur and went to bed early. The next day, I drove off to the university where I work to lecture for fully six hours in classrooms of various states of mustiness. The end of the day after Yom Kippur I was in bed so early I practically skipped dinner. What were they thinking, those ancestors of ours, when they packed all these festivals together and turned these fifty-plus days into a training course for our souls? They were thinking about beauty. This is beautiful: The fragility that the Days of Awe induce is given a fragile space to unfold. In a sukkah, itself a tender reminder of the temporary quality of all existence, we sit with our rebirth, our new beginnings. 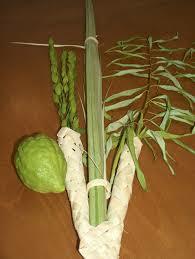 I ask my congregants to reflect on their spiritual lulav, the fruit of their soul harvest from the High Holy Days. How will we embody our new self-awareness, transform it into a conscious practice in the months to come? It would be so easy to simply return to how everything was – recreate and reestablish the same old habits from last year, the same old failings. 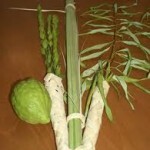 But Sukkot asks us to take our spiritual lulav with us, live what we have learned, practice what our souls preached to us as the gates were closing at Neilah. Shemini Atzeret brings the lesson home. God calls us to wait, to stay, to pause before “regular life” resumes. And the very next day we will roll our Torah scrolls back to Bereishit, and join the Holy One in a celebration of beginnings. The dance we dance deserves unmitigated joy; we are new, we are hopeful, we can love our Torah and all the challenges therein. From reflecting on who we are as individual souls during Elul we conclude our High Holy Day season by reflecting on our collective story. We come out of ourselves, into our communal identity, and, strengthened by renewed awareness of both, reenter the world. It’s challenging, of course.